..its very sad what happened in Wisconsin gurudwara .. a white guy in Gurudwara killing innocent people for no reason... why?? is it hatred ?? is it mistaken identity ...?? The tragedy in Oak Creek, Wisconsin has put the spotlight on a fascinating, misunderstood religion. I came to know from relatives and friends early morning on sunday about this shooting ..my heart goes out ..for people who lost their loved ones. Lt. Brian Murphy, 51, raced to the Sikh temple that was attacked Sunday and was met with nine bullets as he stood face-to-face with the shooter..A national Hero I wud .say our sincere thanks to this brave guy. 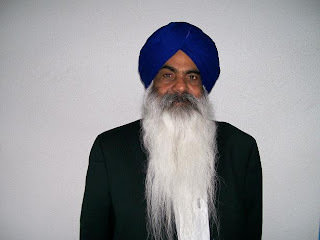 ..Sikhs have always made their mark all over America ..I will not be shy here to say the place like Milwaukee where Darshan singh dhaliwal owns many gas stations and 1000 across US and many in milwaukee alone how come sikhs are not known in Wisconsin ? In Michigan a major area of construction and properties are owned by sikh (Grewals)named as "Prestigious Singhs"on each property whether its apartments or assisted living or malls.. hundreds of Americans work at these places and know sikhs very well ... how sikhs are not known? 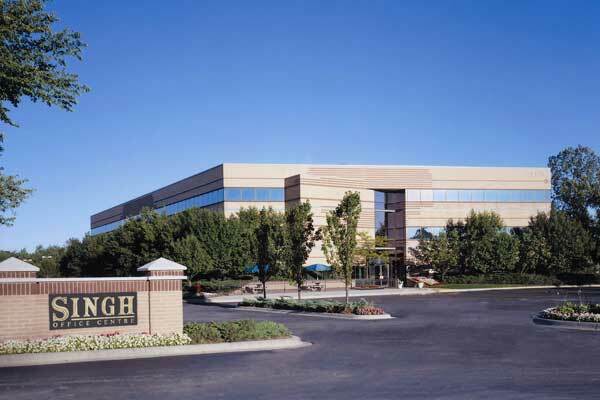 California major farming and export of fruits and dryfruits ..sikhs will be seen .. and many Americans work on these places too ..Didar Singh Bains richest sikh farmers in america! how come sikhs are not known? Briefly, what is Sikhism?A monotheistic religion founded in the 1400s in the Punjab region of India, based on the teachings of Guru Nanak Dev and his nine immediate successors. Sikh comes from the Sanskrit for "disciple" or "instruction." Sikhism is now the fifth largest religion in the world, with more than 27 million members, most of them living in Punjab. There are only about 314,000 Sikhs in the U.S., and some 3,000 Sikh families in southeastern Wisconsin, where the shooting took place. 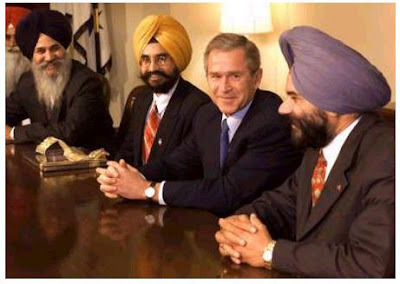 Every American sikh today is hurting, "That turban has tragically marked us as automatically suspect, perpetually foreign and potentially terrorists." 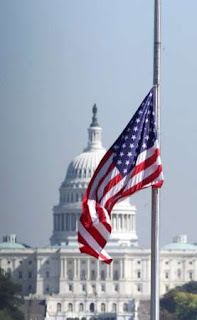 President Obama has ordered the US flags to be flown at half mast until August 10 to honor the victims of the Wisconsin Sikh temple massacre. He also called for a "soul searching" to find ways to reduce violence in America. This is very disturbing.. I think the land of the free has given too much freedom to their people to go wayward and drift off into becoming psychotic killers.. This guy who shot the innocent sikhs was a big time racist.. These guys are already frustrated cus of no proper jobs and are misguided by the free ppl of the US itself putting the blame on ppl of other nationalities..
my heart goes out to the families of the deceased.. I remember reading about an incident after 9/11 where a Sikh man with a turban was killed thinking he was a Muslim. It was shockingly sad. Unfortunately there are some persons who have deep rooted hatred for other communities or religions which with activities of some misguided groups have been fueled more. What happened in Norway, isn't it, is another example. Though I have not been to USA but our son who has been there frequently had told me that common man there is not interested in anything except his or her own well being. They have no time to learn about others. Thus the mistaken identity is common. I do wish that this uncalled for killing of innocents does wake conscience of public in general to try to understand what others stand for. I can do nothing much but just offer my prayers for the departed souls and may God grant strength to their close ones to bear the loss, including that brave police Lt.
My salute to the president of the Gurudwara (and Lt. Brian Murphy) for bravely standing for what is right. I think the root cause of what happened here is the "Free gun totting policy" of USA. There will be some people with -ve thoughts all over the world but when they have free access to guns with no questions asked, they are bound to execute their thoughts into action. Sad that the common people of the States don't realise this, or is the gun lobby that strong? White man mentality.. they think all brown faces are same , which is sad ..
many of the terrorirst arrested and found are WHITES..
my condolenses to the ones who had to die because of one man's stupidity.. Very very sad incident. I guess people who are racist can't think straight. It is so unfortunate that this kind of mindless violence must happen on hapless people in a place of worship. its sad ..and to my mind every religion should try to spread a word about their origin and nationality ..!! yes..its big time issue..But in US all races are their and 85% are immigrants all over the world it should be well understood fact .. that every person earns due to his his/her own capability..
@jack..these racist have no dearth.. I dunno exactly why it happened ..cus .. this place wisconsin has Darshan singh dhaliwal ..who is owning major business there and people know him very well ..now this was hatred.. or some kind of revenge or mistaken identity ..yet to be seen.. Ignorance is nothing but jus shutting your eyes off the world.. There are such idiots here who dont know where india is on map.. how will they know sikhs?? the incident in Colorado a massive shooting in theater killing many people on first day show of BATMAN movie was a case of that!! its one persons stupidity and others lost their lives..
My heart goes out for their families. interesting read, feel free to pop by and have read..